If you thought that IKEA came up with their product names by flinging Boggle dice and seeing how they landed you are a) wrong and b) possibly not fluent in Swedish. But GOOD TRY, YOU! Quartz has just revealed that there’s an exact science behind the naming of IKEA bits and bobs and it’s kind of fascinating. Apparently, IKEA founder Ingvar Kamprad was dyslexic, so he decided using names was a better idea than item codes. “The name IKEA itself is an acronym for Ingvar, Kamprad, Elmtaryd (his family’s farm) and Agunnaryd (the village in Småland where he grew up in),” Quartz reports – and honestly of course it is! At a trade show last year in New York City, IKEA’s Jon Karlsson spilt the beans on how the product naming system works. While there’s a dedicated team who come up with the product names, sometimes designers are allowed to step in and suggest the perfect moniker. Bathroom items are named after Swedish lakes, seas and rivers. Bedroom textiles are named for flowers and plants. Beds, wardrobes and hallway furniture is named after Norwegian places. Bookcases are named after professional occupations or Scandinavian boy’s names. 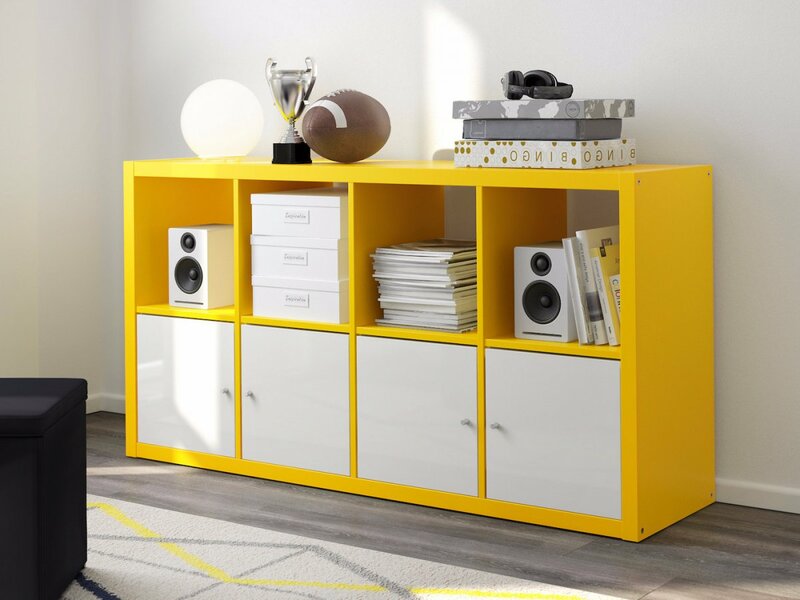 Their world famous Expedit bookcase is named after the shopkeeping profession. Bowls, vases and candle-related items get their product name from Swedish place names, spices, herbs, fruits, berries and adjectives. Boxes, wall decorations, artwork and clocks are named for Swedish slang or Swedish place names. Children’s products have their names chosen from animals or adjectives. The kids’ Mammut table is named after the very extinct mammoth. Desks and office chairs take theirs from Scandi boys’ names. Fabric and curtains are named after Scandinavian girls. Garden furniture is named after Scandinavian islands. For example the Äpplarö garden storage bench is named after an island in Stockholm. Kitchen accessories? They’re named for fish, mushrooms … or after adjectives. Lighting is named after various units of measurement; seasons; months; days; shipping and nautical terms; and Swedish place names. Rugs are named after Danish places. The Kattrup rug is named for a small town in Denmark. Sofas, armchairs, chairs and dining tables are named for Swedish places too. 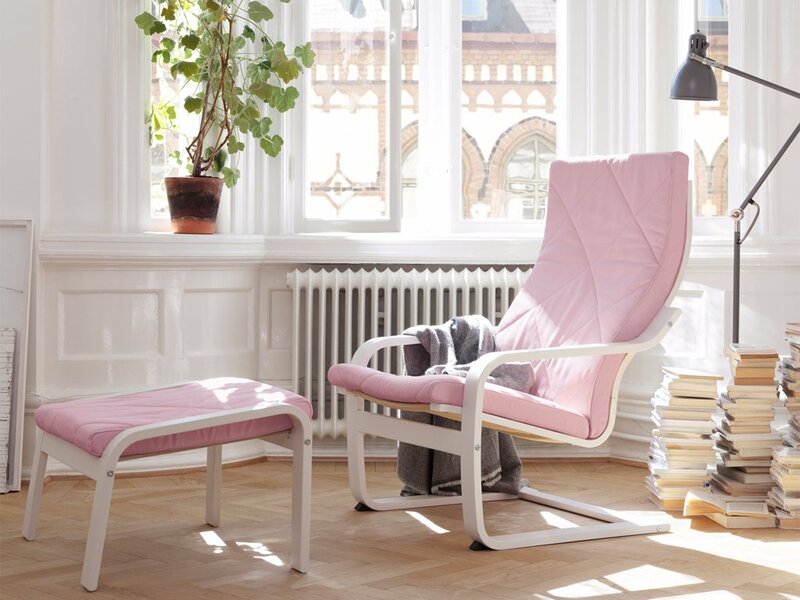 Klippan – the name of a popular sofa – is taken from a city is the south of Sweden. If you want to find out even more about IKEA product name meanings, head to the brilliant IKEA dictionary for all the Swedish (and Danish!) words!